Secrid Slimwallet Matte -lompakon nahan mattapinta on tasainen ja se kestää hyvin päivässä mukana. I purchased the wallet for my son and he is delighted with the wallet. Quality is excellent and he is particularly pleased with the credit card part. Wallet is as amazing & realistic as advertised. Fast & friendly service. Pricing was much better than other e-stores. Order was shipped very quickly & arrived in good condition. Thank you. I will shop again from mukama. 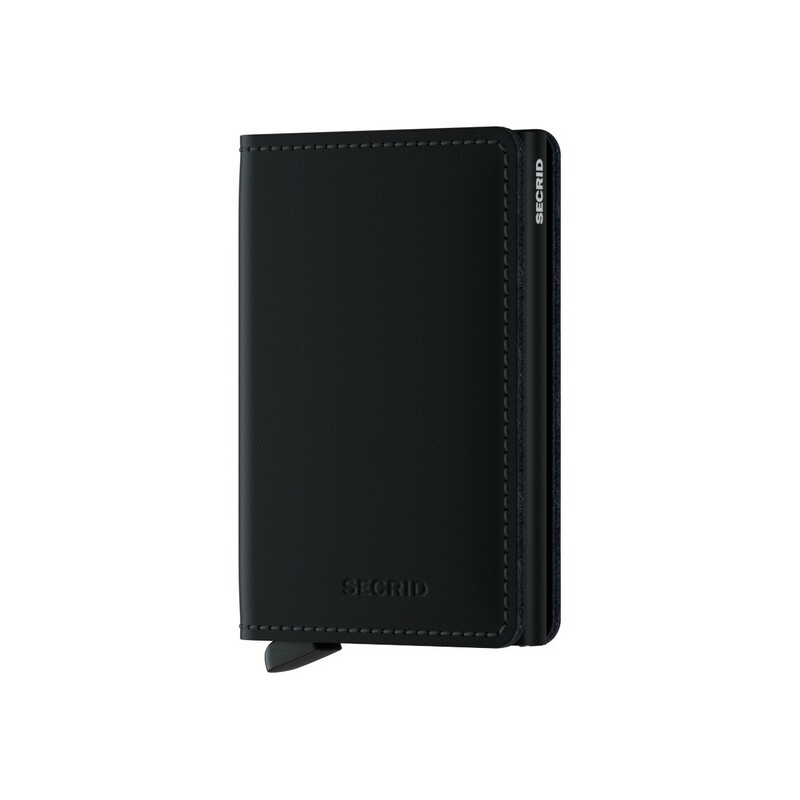 This is a great wallet; well-made, slim, great price, & stylish. I’ve enjoyed clicking the wallet every time I’ve had to use my cards. It’s been about a month since receiving it, so keep in mind that I’ve had limited use. I would accurately rate the wallet 3.5 stars; I feel that some things could have been improved. 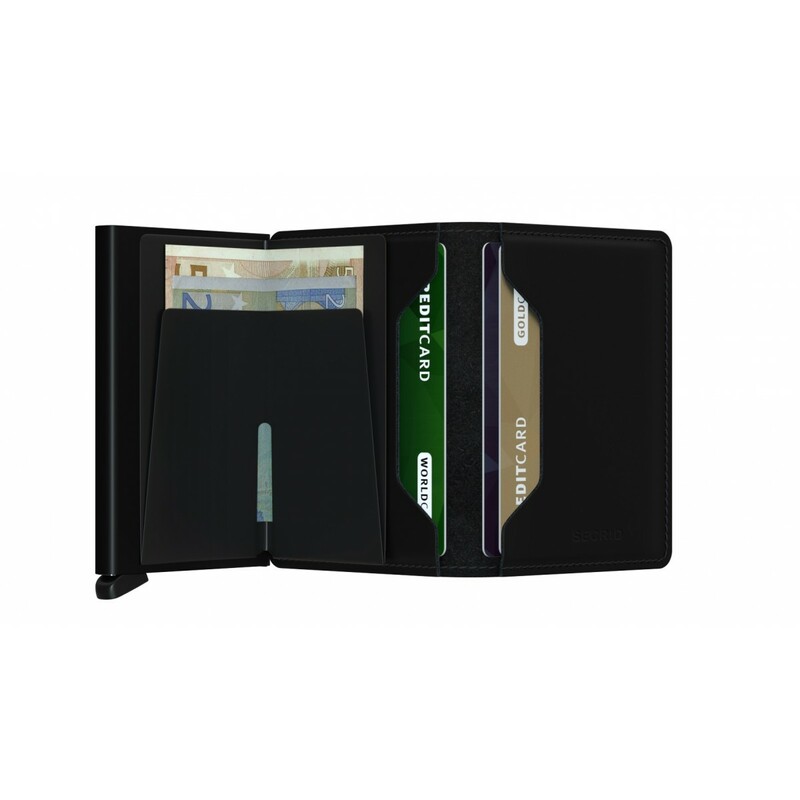 The metal card-ejector is perfect; the problem is with the rest of the wallet. Regarding the 2 card-slots in the leather part of the wallet; one of the slot’s leather compartment is longer/larger than the other; causing the wallet to be uneven when closed. And although this wallet is intended to be slim & targets people that don’t hold a lot of cash; I think the method/mechanism of holding cash (plastic foldable flap) could be improved to make it a lot easier & more functional. The plastic cash flap isn’t very functional; it barely holds anything (maybe 2-3 folded bills comfortably; any more wouldn’t be recommended). The way the user must fold bills in it makes the wallet become very bulky (which defeats the purpose of a “slim-wallet”). The wallet will stay open if many bills/papers are inserted into the flap, which is somewhat annoying. But the most annoying problem is: bills & papers can fall out when opening the wallet (when you have enough bills & receipts in the bill flap). 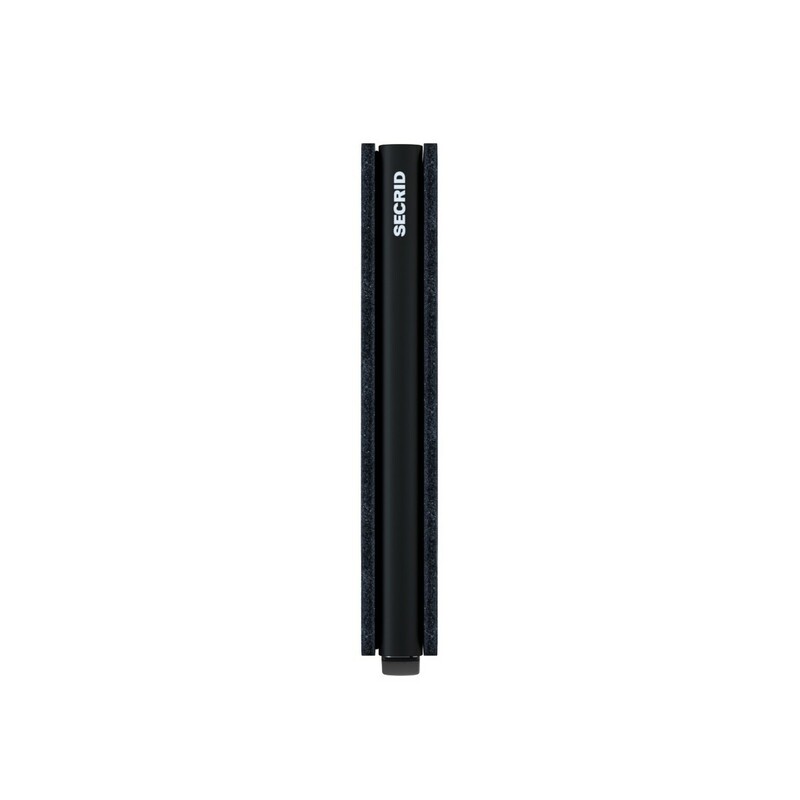 Lately, I’ve been putting all my bills & receipts in my pocket, so I guess I will need a money clip for that. Maybe I’ve misjudged my need for a slim wallet. Maybe a slim wallet is not right for me, personally. * If you don’t hold bills at all or very little, & use about 6-7 cards = this wallet suits you, especially with the flashy innovative way you’ll be flashing out your cards. * If you like holding a lot of cash, cards & receipts = this is definetly not the choice for you. Other wallets would be better. * If you are somewhere in between where you hold some bills & papers, & hold more than 6-7 cards= You can check out the bigger models Secrid offers, or maybe just buy the card-ejector (for your cards) & buy a money clip for bills (like I will be doing). In all cases, I have enjoyed using this wallet & will continue to. Super portefeuille minimaliste. Même après avoir vu des tests on est surpris par sa taille. La maroquinerie est souple cependant si il n'est pas plein pas gênant mais à savoir. Mukama très arrangeant pour l'envoi. Ils ont même rajouter la nouvelle Calédonie exprès pour me permettre de commander. À savoir si des Calédoniens veulent l'acheter : on paye presque le prix d'achat en douanes et frais de traitement DHL. Sinon reçu rapidement et excellente qualité. 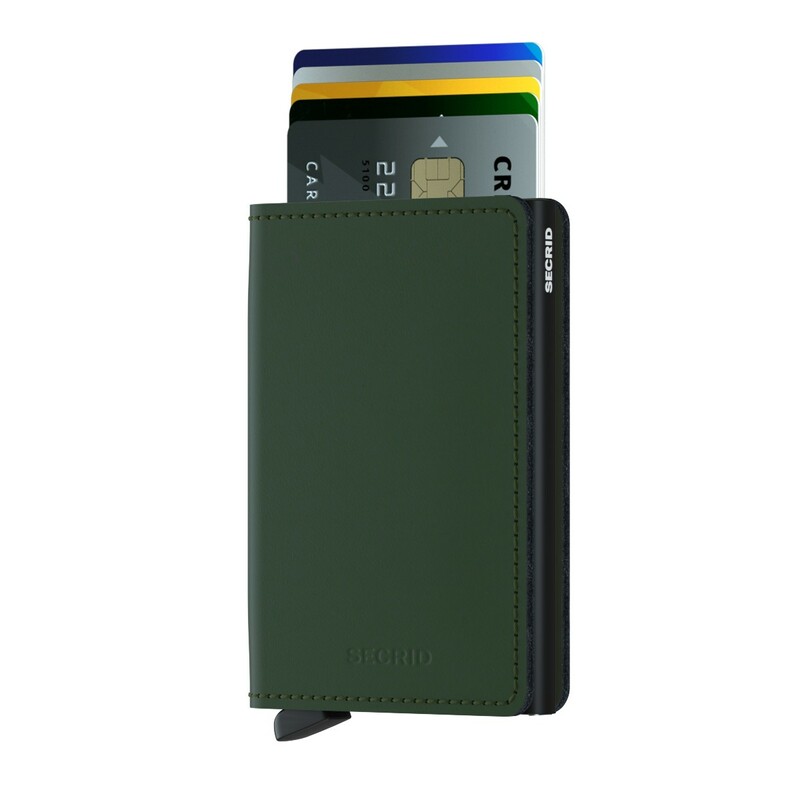 Fantastic product, used to have just the card holder but I end up getting more cards so this is perfect, has a place for bills, cards and of course the always trustworthy card holder, so I can carry plenty more and it doesnt fill bulky like other wallets, the colour is amazing! Neat and elegant! Tosi hyvä ja näppärä lompakko. Ei mitään huonoa sanottavaa! Helppo ottaa se kortti mitä tarvii.